Add a little brass to your season! Each year, tens of thousands of people at home and on the road enjoy the music of River City Brass. Currently, the band has one of the most active schedules among American touring ensembles, performing dozens of concerts on tour each year for community performing arts series, corporate events, major music festivals and more. 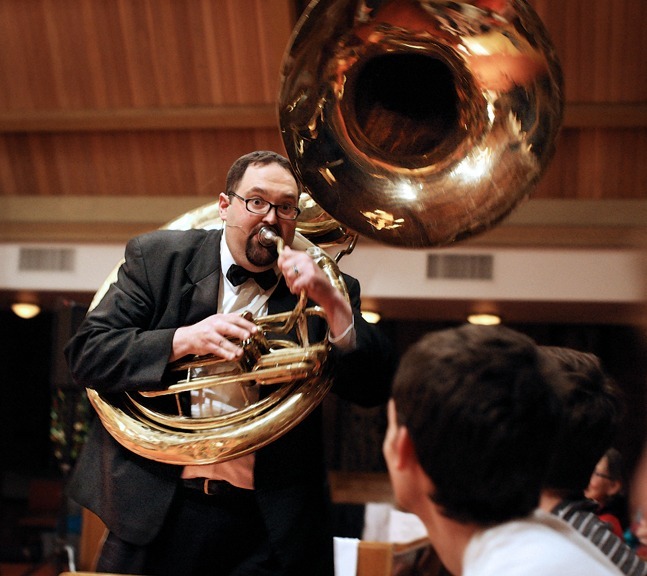 The River City Brass’s unique repertoire, virtuoso musicians, and accessible performances make the ensemble an ideal choice for presenters. Side-by-side: This program offers students an opportunity to rehearse and perform onstage with the musicians of River City Brass. Up to 100 participants can be accommodated. Masterclasses: These bring small groups of students together with River City Brass musicians for one-on-one learning. The band also offers clinics that can be designed for students at the elementary, middle, high school and college levels. For some tours, added personnel like Bus Driver or Tour Manager, may be included. Broadway Favorites: Enjoy music from hit broadway shows like Les Misérables, Sound of Music, and West Side Story. Blockbusters: Music from Hollywood's biggest hits: Ben Our, Indiana Jones, Slumdog Millionaire, Harry Potter, and others. Big Band: Hot big band jazz and swing with favorites by Duke Ellington, Benny Goodman, Glen Miller and more. Celtic: Honoring the musical heritage of Ireland, Scotland, and Appalachia with selections like Amazing Grace, Highland Cathedral, Oh Danny Boy and more. Vienna Nights: Take a trip with RCB down the Blue Danube with the music of Johann Strauss, Franz von Suppé, Franz Lehár and more. Americana: RCB celebrates the diverse genres that, together, define American music – Folk, Country, Blues, R&B, and Classic Rock. Bollywood/Hollywood: Popular and classical music made popular by Bollywood and Hollywood films. Holiday Brasstacular: A festive holiday program with the option to include community and high school choral groups. Brasstacular: A program selected by you and Maestro Gourlay from RCB's repertoire. * RCB offers sensory friendly performances. 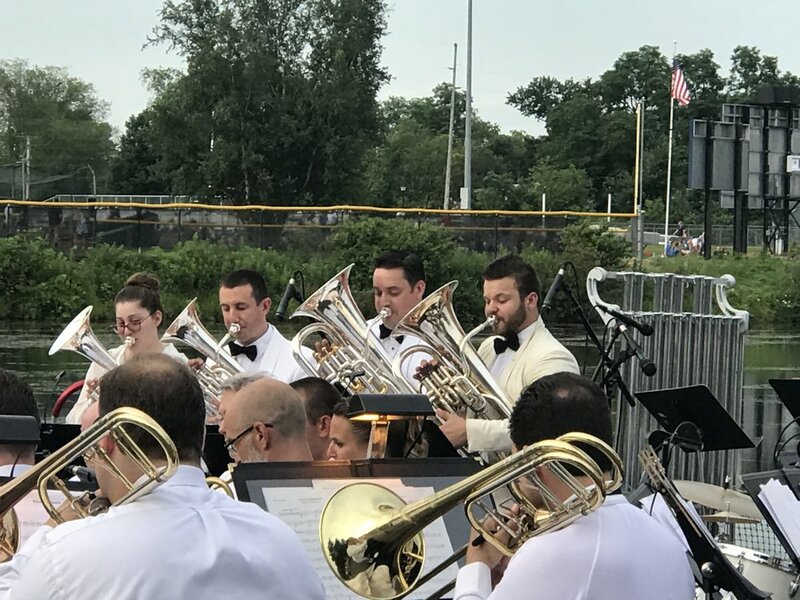 Each year, tens of thousands of people, at home and on the road, enjoy River City Brass music featuring American Tunes, Big Band Swing, Jazz, Broadway, Hollywood, Bollywood, Classical, Contemporary Masterworks, and Traditional Marches. River City Brass is entertaining, enlightening, funny, thoroughly professional, and family friendly! A compilation of some of River City Brass' shining moments!